Back in the United States and speaking in front of the court, Randol (Ryan Reynolds) gives a passionate speech on Maria (Helen Mirren). Maria (Helen Mirren) and Randol (Ryan Reynolds) meet with Dreimann (Justus von Dohnanyi). In Vienna, Maria (Helen Mirren) and Randol (Ryan Reynolds) meet with publicist and supporter Hubertus Czernin (Daniel Bruhl). 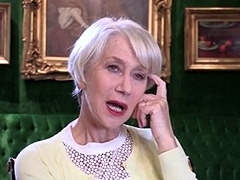 Maria (Helen Mirren) hesitates to return to Vienna. 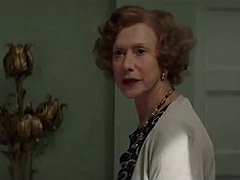 Randol (Ryan Reynolds) is reluctant to help Maria (Helen Mirren) in trying to get her family painting back. Maria (Helen Mirren) shows Randol (Ryan Reynolds) a picture of her aunt Adele. 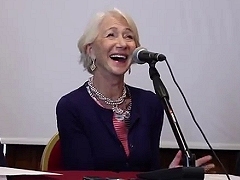 Interview with Helen Mirren for Woman in Gold during the film's promotion in Rome, Italy. 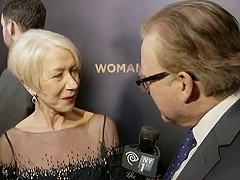 Helen Mirren is interviewed by Bonnie Laufer Krebs to promote the theatrical release of Woman in Gold in the United States. 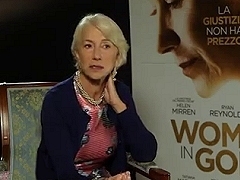 Helen Mirren is interviewed on the set of "Woman in Gold". 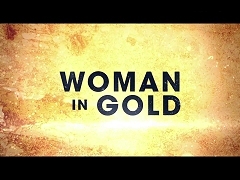 Promotional featurette for the theatrical release of Woman in Gold, including interviews with Helen Mirren and Ryan Reynolds. 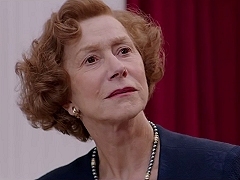 B-Roll footage from the filming of "Woman in Gold". 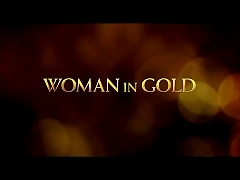 Television spot to promote the theatrical release of Woman in Gold. 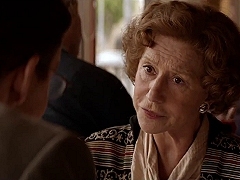 International theatrical trailer for Woman in Gold, starring Helen Mirren, Ryan Reynolds and Daniel Bruhl. 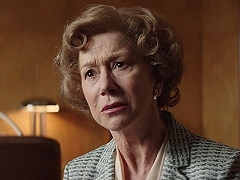 Theatrical trailer for Woman in Gold, starring Helen Mirren, Ryan Reynolds and Daniel Bruhl. October 02, 2015. Press conference for Woman in Gold during the film's promotion in Rome, Italy. June 03, 2015. 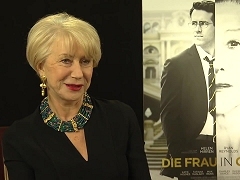 German television report on the theatrical release of "Woman in Gold", including interviews with Helen Mirren and Maria Altman. April 24, 2015. 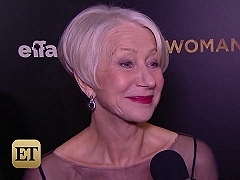 Helen Mirren talks to Fox Seven about Woman in Gold. April 08, 2015. 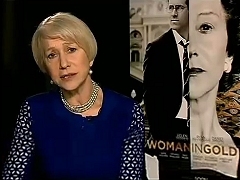 Helen Mirren talks with BBC Breakfast about Woman in Gold. April 01, 2015. 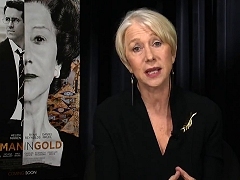 Report on the New York premiere and theatrical release of Woman in Gold, including an interview with Helen Mirren.